Samsung has concluded its investigation into the cause of widespread faults with the Galaxy Note 7. According to a Wall Street Journal report, the answer to this burning question is irregularly sized batteries and additional manufacturing faults, with the company planning an official announcement for Monday morning (8PM ET). The full press event will be streamed live for those interested in the complete details. To reach this conclusion, Samsung hired three independent supply chain and quality control analysis firms to investigate. The company used batteries from two different brands over the course of the Note 7's lifetime. Early devices used batteries manufactured by a subsidiary known as Samsung SDI. These batteries didn't fit properly and since Lithium batteries like this are extremely sensitive to puncture and excessive heating, they caused internal overheating and the subsequent fires. 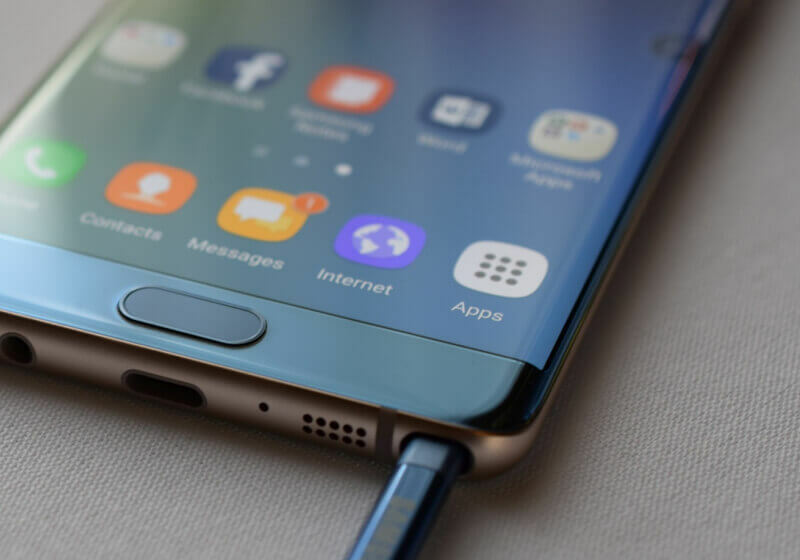 After this defect was discovered, Samsung began switching production over to a different battery manufacturer known as Amperex Technology. This switch and heavy pressure to increase production resulted in additional manufacturing issues. The exact details aren't known, but it was clear that the rush to produce an adequate supply and compensate for the SDI defects did more harm than good. The whole ordeal is expected to cost Samsung around $5 billion as well as damage to its brand. Samsung has reported that at least 96% of devices have been returned, but there are still thousands in use.